With this issue the Journal embarks on a dual venture—a shift to metrification and a new editor. With regard to the second venture, my hope is to emulate the editorial prowess of my predecessor, Ashley Weech, and to build on the foundation he has so skillfully laid this past decade. 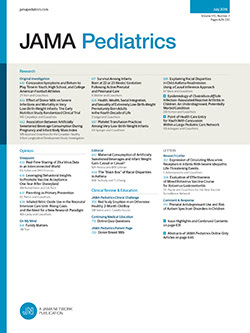 The Journal will remain oriented towards the broad avenues of pediatrics—the clinical, the educational, the investigative, and the societal.